Directed by – Raj Nidimoru and Krishna D.K. In 1932, Victor Halperin directed the first Zombie film named “White Zombie”. The first on-screen zombie in this film was actor John Peters. And that’s how the tradition of making Zombie films started and Hollywood over the years has mastered the art of creating some of the bloodiest and most stylish Zombie films. 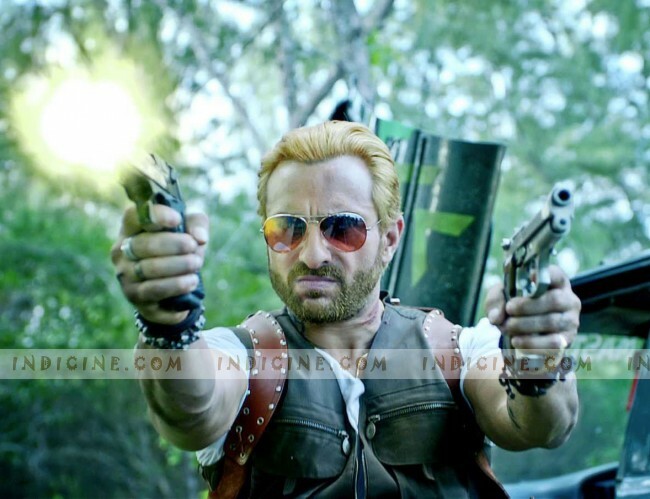 Saif Ali Khan this summer brings the Zombies into Bollywood. But definitely in a desi Avatar! Go Goa Gone is about three friends who visit Goa and attend a rave party which turns out to be a nightmare for them. The plot has a message (a very important one) at its backdrop and that makes the film relevant in the present scenario among youth. So we have a film which is a combination of comedy, action and thriller –the first Zom-Com of Bollywood. On top of that it has a relevant message too! Predominantly in the first half Go Goa Gone showcases the urban youth and its fascination towards alcohol, cigarettes and drugs. In the second hour it highlights on the repercussions of such addiction and the story writer very intelligently uses Zombies as an example (You become Zombi like if you are addicted to drugs) to present it in an entertaining way. Also thankfully the writer instead of copying the entire script from Hollywood did a decent job to prepare a plot first and then incorporated Zombies into it. Directors Raj Nidimoru and Krishna D.K. successfully make the film engaging and entertaining. Witty dialogues and performances make it even more enjoyable and gives it a feel good factor. But a major drawback is that the script doesn’t offer too many memorable moments. Ardent Zombie Movie fans may feel the lack of thrills. I wish the film had few more highs in terms of thrills and action! But that doesn’t mean that it’s all flat out there. It has its moments of thrills and fear. The performances of the lead actors are praiseworthy. Vir Das as always is at ease in a funny role and delivers an equally funny performance. Kunal Khemu has got one of the best roles of his career in Go Goa Gone and he puts up a pretty decent show. Anand Tiwari and Puja Gupta too support them perfectly. Saif Ali Khan’s character is half baked and in spite of his efforts he doesn’t impress much. He is strictly OK. The music by Sachin-Jigar certainly does not boast of any chartbuster songs but the advantage with it is that it’s perfect for the mood of the film or I must say perfect for the specific situations in the film. It gels into the proceedings of the film well. “Khoon Chus le” is definitely innovative and connect with all those out there who dread Monday’s. “Khushamdeed” is soothing and is beautifully sung by Shreya Ghoshal. Go Goa Gone is definitely not a “Zombieland” of Bollywood in terms of style and action but it’s not far behind either and with that special message for the youth it deserves to be applauded. Go for this entertaining film this weekend and get ZOMBIED! Go Goa Gone Spoiler : Cheeranjivi and Soha Ali Khan are also present in this zombie movie. Common words of this movie are Leave the bench(Bench-chod),escape(chhoot)haha many like these..